“Humans are both creatures and molders of their environment, which gives them physical sustenance and affords them the opportunity for intellectual, moral, social and spiritual growth. In the long and tortuous evolution of the human race on this planet a stage has been reached when, through the rapid acceleration of science and technology, humans have acquired the power to transform their environment in countless ways and on an unprecedented scale. 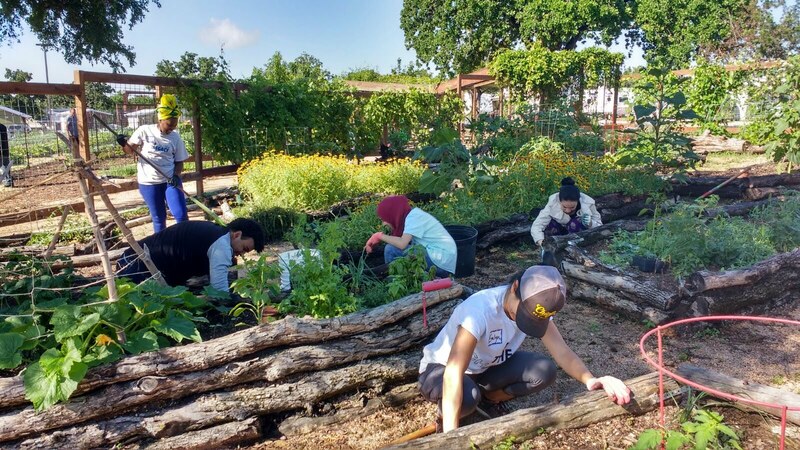 Last month our #EYLeaders took time out to do some amazing work with the land at Community First Village, an organization that does great work with low-income and displaced people in Austin, TX.